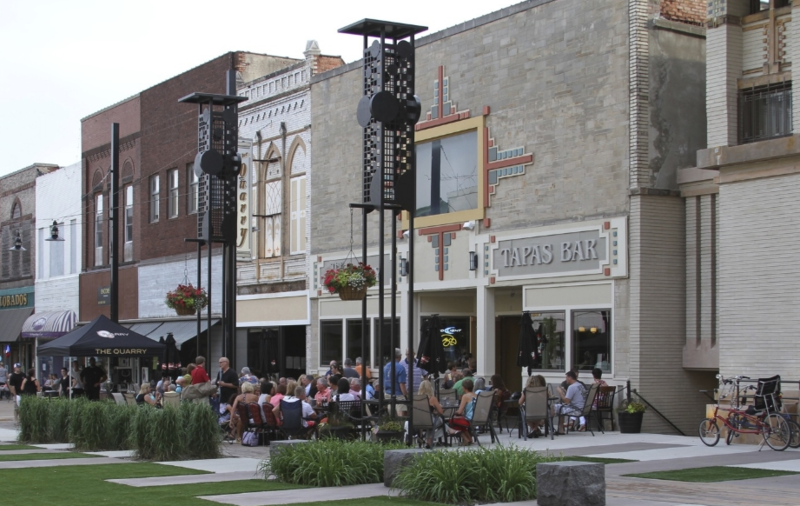 Main Street Mason City's Mission is to enhance, promote, and preserve downtown Mason City as a diverse business, cultural, and residential destination for the benefit of the entire community. Downtown Mason City will be known as an architectural destination bound together by culture, business, and pride. Visitors will have a good first impression. As the city is showcased, all will feel that downtown is the heart of the city. A unified plan, promoted activities filled with synergy, involvement by all people, including youth, and Mason City's unique image will enhance downtown as the key to success of the city. As a piece of the cultural crescent, Downtown Mason City's action based identity will include a sustainable mix of involved businesses and a common gathering place in the midst of history and architecture. Shoppers will find a variety of necessities and amenities to meet their needs in Mason City's walkable district. Historic Park Inn and downtown shops will create a regional hub and destination for the entire Midwest. The source of pride in Mason City's livable downtown community will be evident. As a community proud of its past and present, Mason City will demonstrate optimism towards its future. We are a volunteer based organization that works with our downtown businesses to ensure a strong and healthy community core. Chris is the Vice President of Commercial Lending at Clear Lake Bank & Trust, in the downtown Mason City location. He specializes in lending to small business clients who are looking to expand their business or credit lines for operational expenses.